In the Kundalini yoga tradition, as taught by Yogi Bhajan, the playing of the gong enhances the practice. It is described as ‘the sound of the universe’ and is not like any other instrument. The gong actually works as an agent of personal transformation and is a powerful experience! It can also be used for the practice of gong relaxations or ‘gong baths’ where the gong is played in a therapeutic way to bring about deep relaxation. You lie there in comfort and bathe in the powerful sound vibrations. The practice of mindfulness is accepted and established in our culture now. It is “a mental state achieved by focusing one's awareness on the present moment, while calmly acknowledging and accepting one's feelings, thoughts, and bodily sensations”. A gong relaxation can powerfully support and enhance the ability to establish mindfulness in ones life. The gong stops your thinking. The intensity of the sound vibrations are powerful and sometimes build to the edge of over-powerful, but still, your regular mind processing – our monkey mind, our busyness, our judgement of others and ourselves, has to stop. There is no choice, you have to have a break. In the stopping… the mental space created is really, really good for you and can create a sense of peaceful bliss. One client said to me “Its like someone gently pouring warm water through my mind; washing it out”. When you come out of the experience the quiet sense of awareness continues. You are much more in the state of being here, in the place you actually are, fully embraced in the particular moment. Meditation is easier with the gong. Meditation is difficult for many people. The gong can make it easier. Focussing on the sound vibrations can quickly take you from Beta (normal wakeful state) to Alpha brainwave state (daydreaming, imagining, wakeful rest) to Theta brainwave state (dreaming sleep, deep relaxation, place of deep meditation, the ideal body healing state). Quick access into Theta brainwave state is ideal. Some people go further into Delta brainwave state (deep sleep) which is not the intention of the gong relaxation but sometimes it is what the person needs! The powerful sound vibrations positively impact our physical health. The gong has been used for millennia in many cultures for healing. Today's precision engineered gongs provide more powerful sound waves. Water is a fantastic conductor of sound travelling five times faster than in air. Our bodies are 70% water. The sound vibrations positively impact the circulatory system, the nervous systems and the glandular system. The gong has been proved to work for sprains and migraines but is actively used in many areas of healing including drug rehabilitation (ideal for repairing the nerves from the ravages of drugs) and e.g. schizophrenia. Everyone physically experiences the gong differently, and each experience is different depending on what is going on with the person at the time. Most people experience relief from stress and tension from the experience. The gong experience is deeper with experience.The first gong can be quite an experience! With time you know what you are getting (although every time is different) but you can let go more quickly and allow yourself to go deeper with it. In the practice of surrendering to the sound vibrations there is a sense of the need to be brave and let go. Surrender to what is, to let your control go; your grip on life that actually keeps you bound. In the surrender you enhance your ability to surrender to life itself and to your practice of mindful, creative living. The gong can create emotional transformation. The physical impact of the sound vibrations on the body can release tension as well as stimulate the body. This can allow emotions tied to the body structure to be released. Some people cry, feel weightless or laugh uncontrollably. The release of feelings we have been holding on to (our subconscious litter) is a normal process in gong meditation. 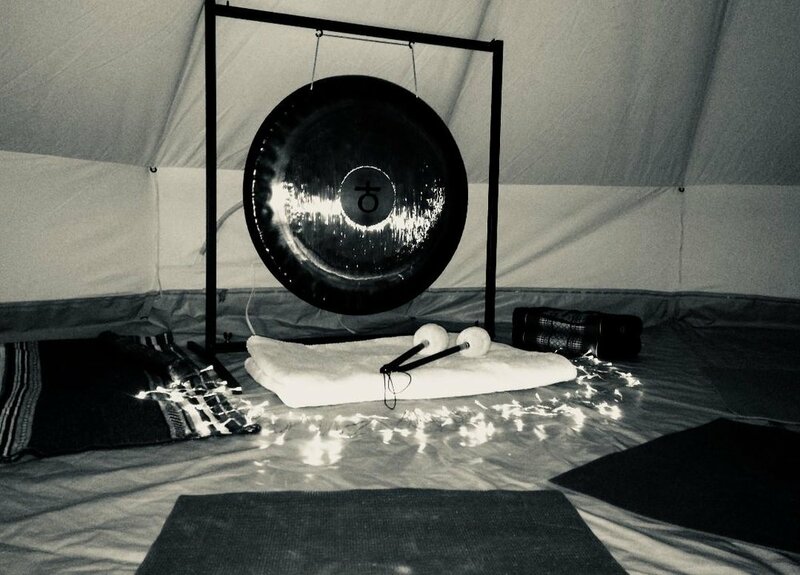 Gong relaxations can balance and harmonise anger, aggressive tendencies, over-thinking, control issues and invoke positive qualities and energies such as confidence, logic, strategic thinking and emotional strength. The effect can be that you can feel lighter, less burdened and therefore more aware, more mindful going forward. The gong ‘takes you further’ than you could alone. In some yoga poses and breathing exercises (pranayam) and meditations the gong is used to increase the length and therefore impact of the practice. 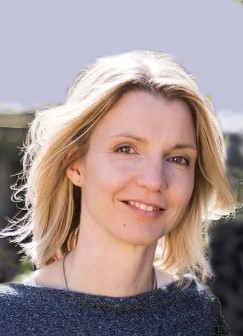 It is my belief that this effect from a gong relaxation can support you to go deeper into your own experience of life; living more mindfully in your day-to-day. Regular gong meditation can accelerate the development of intuitive sensitivity and visualisation.The gong relaxation (through the practice of meditation, letting go of our subconscious baggage and releasing and stress in the body) ultimately creates more gaps from our thought. In these gaps there is the space for intuition to arise. This is where deep creative thought: inspirations, ideas that are great for enhancing your life bubble up. The yogic interpretation here is that you are listening to your own souls desire (aka mission in life). Following these leads certainly in my experience makes you feel alive, on track and that life is enjoyable. The physical yogic explanation for all this is that once the core physical and emotional states are in balance, the sound vibrations can adjust the relationship between the pineal and pituitary glands which opens up the psychic functions of the sixth chakra (or third eye). This has been used for millennia for developing insight and intuition. Once this ability is used, it makes the practice of mindfulness so much more enjoyable and rewarding. N.B. The practicalities of a gong relaxation. Comfort is key (the ability to lie without focussing on the body) so ensure you have what you need to relax. I advise that you take it gently afterwards for the rest of the day to allow continued integration of the experience. I also advise that you drink plenty of water. It is not a good idea to mix alcohol or drugs with a gong session. Jo Coley of Blissness (www.theblissness.com) is a kundalini yoga teacher, gong player and loves things that practically work to enhance life.